Cajun beef roast could be served over rice, pasta or even mashed potatoes. We love roast beef and this recipe is so good served over rice. This recipe keeps well refrigerated for several days and can be reheated. This is a versatile recipe in that you could make it your own by adding different spices or vegetables. You might also like our recipe for crock pot cranberry pork. 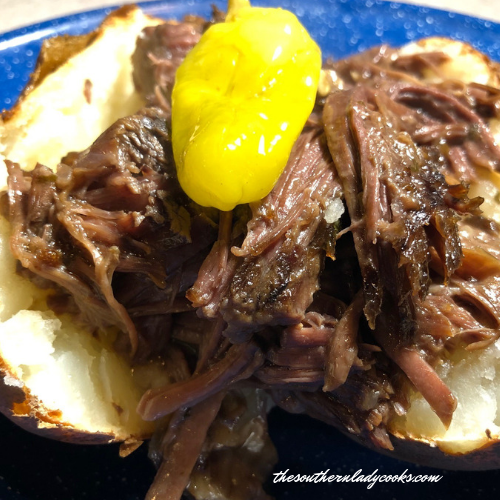 Cajun beef roast is an easy crock pot recipe your family will love. Cut roast to fit into crock pot and place in bottom of the pot. In a large bowl combine the remaining ingredients and mix with a spoon. Pour over the roast. Cook on high for about 5 hours or low 7 until meat is tender. Serve over rice. Makes a 3 quart crock pot 3/4 full. Enjoy! Note: The tapioca acts as a thickening agent in the recipe. You can leave it out if you want a more soupy gravy and also leave out the water for a thicker gravy. This easy Cajun Beef Roast is a delicious served over rice! Cook on high for about 5 hours or low 7 until meat is tender. Serve over rice. Makes a 3 quart crock pot 3/4 full. The tapioca acts as a thickening agent in the recipe. You can leave it out if you want a more soupy gravy and also leave out the water for a thicker gravy. You can “share” by clicking on the Facebook, Pinterest or Twitter icons below. Print by clicking on the green printer icon below. Do you think if I cut the roast and floured it and pre-browned it and then put it in the crockpot it would thicken the gravy? Probably would thicken it some, Linda. Linda, I haven’t made the Cajun Pot Roast yet, BUT I do use my slow cooker to make pot roast, and I flour my roast and brown it in a skillet first, and yes it makes wonderful gravy, nicely thickened..
Is the tapioca pudding? If not where do I find it? It is Kraft Minute Tapioca. Awesome recipe!!! So enjoy any kind of roast!! BTW, if anyone is looking for great beef to purchase – no hormones, no antibiotics, pasture-raised, from a 5 generation cattle ranching family operation, check out: jennerfamilybeef.com!!! We’ve been in business for 140+ years! I have never cooked with tapioca. Is this 1/4 cups already cooked or what? I would love to make this. No, it is not cooked, Angie. It is just used as a thickener in this recipe. Oh yum. And I still have some frozen okra. 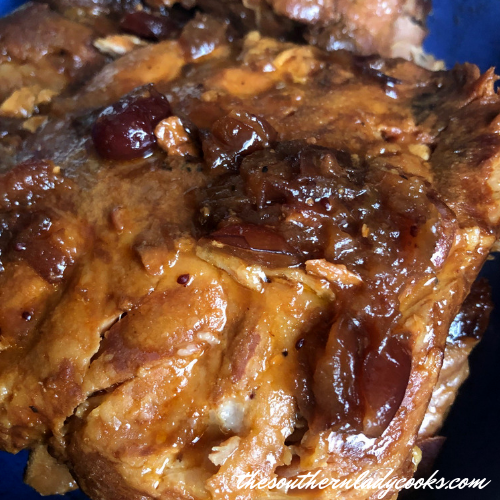 This recipe is going in my book – how delightful & delicious this dish sounds! Just get me to the grocery for a roast! Everything else is on hand and I will be trying it out. Sounds positively delicious!